LDS production and manufacturing jobs: The Church of Jesus Christ of Latter-Day Saints is a Christian primitivist church that is spread internationally in several countries. Here we will take a look at employment opportunities offered by the Church. 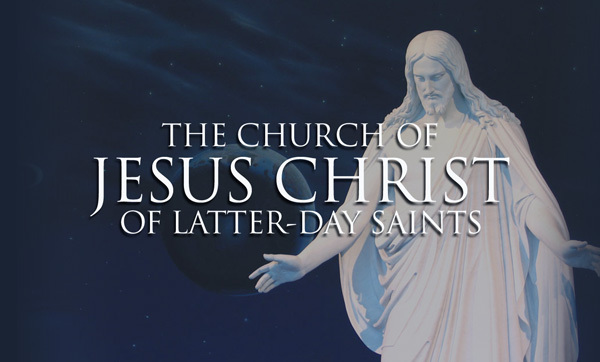 The Church of Jesus Christ of Latter-Day Saints traces its history back to the 19th century when Joseph Smith Jr. said he had translated the chronicles of indigenous American prophets from golden plates and written The Book of Mormon. Two years after the death of Joseph Smith, Brigham Young led the followers to Nebraska owing to escalated tensions between the residents of Illinois and the Mormons. 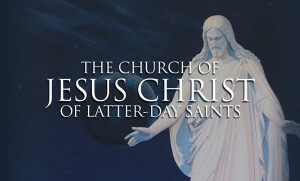 Young incorporated the Church of Jesus Christ of the Latter-Day Saints as a legal entity. It was in the 20th century that the Church grew and became an international organization because of the spread of missionaries around the globe. More than 5,500 people work for the Church today across the globe. This job requires you to stand and move throughout the shift, perform fast, repetitive movements for a minimum of 8 hours per day and even work overtime, if needed, depending on the production needs. Additionally, the applicant must be a member of the Church and must be temple-worthy. Temporary Bindery Worker(Day Shift): As a bindery worker, you will be required to feed printed material into machinery, pull finished products off machines as well as boxing the product, quality-checking the product, banding, shrink-wrapping, drilling holes etc as needed. For this position, you must be able to lift and move materials weighing up to 50 lbs, have good manual dexterity and be detail oriented, must be able to stand or sit for the entire shift as necessary. Bindery experience is highly desirable for this position. Again, you must be a member of the Church and must be temple-worthy. Bindery Journeyman: As a bindery journeyman, you will serve as a team lead and perform machine bindery operations using complicated machines. As a team lead, you will be accountable for pre-set budgets, production schedules and deadlines for the operations performed. Machinery that you will handle may include but not limited to: perfect binding, flat-bed cutters, stitcher/trimmer, sorting, mailing, collating, embossing and casing in equipment, etc. You will be accountable for operation of machines and assigned crews. You will be required to push, pull and move materials weighing up to several hundred pounds using pallet jacks and carts and lift weights up to 50 lbs without the use of any equipment. Minimum of 2 years bindery experience is required for this post. You must be willing to work overtime. Other than that, basic math skills are essential. As with the other positions, you must be a member of the Church and must be temple-worthy. We will guide you in detail about online job application where you can learn about all the jobs at the Church. The Basic Benefits include Medical, dental, group term life insurance, disability insurance, occupational accidental death and dismemberment, annual and sick pay leave. The Supplemental Benefits include supplemental group term life insurance, 24 hour accidental death and dismemberment, long-term care insurance, property casualty insurance(home and auto) options, EyeMed vision benefits. The Retirement Benefits include Master retirement pension plan, 401(k), 401(a), Roth 401(k), Tax Savings Benefits, Medical flexible spending account (FSA), premium only plan(POP, health insurance premiums are taken out before taxes). How to apply online for a job at LDS? To the left side of the page, you will see the ‘Browse Jobs’ link. Click on that. You will need to be logged in to your account to view this page. Now, you can either search for jobs under a category by filling in the keyword field (for eg. ‘Production’) or you can click on ‘Advanced Search’ right beside the ‘Search’ button. This will allow you to select location, job family, even currency. Select the desired choices from the location as well as the job family list. Once all the selections have been made, click on the ‘Search’ button at the end of the page. This should display the list of available jobs matching your selection criteria. In order to apply for a particular job, click on the box on the left side of the ‘Date created’ column and then click on the ‘Apply Now’ button (If you wish to read about the job description and requirements, simply click on the job title). Note that you need to complete your LDS website account and add membership number to it before you can begin to apply for jobs online. The salary for the position of Temporary Bindery Worker is $10.79/hr. The salary for the position of a Bindery Journeyman is $14.22/hr. That’s all there is to know about employment at The Church of Jesus Christ of Latter-Day Saints. The employee satisfaction is very high and almost every employee approves of the C.E.O Thomas S. Monson. The approval rating is 100%. However, some employees, despite claiming to be satisfied with jobs, do say that the growth opportunities aren’t much. The pay is not very high, and the employees claim that the spiritual benefits are what some of them get employed for.